I’m starting a new series of blog posts with snippets of info/knowledgeI find enlightening and inspiring. The Flesch-Kincaid score determines what grade level you are writing. If your score is 10, you are writing at a 10th grade reading level. If your score is 12, you are writing at a 12th grade level. And so on. The F-K score is calculated by words per sentence (lower is better), syllables per word (lower is better), and a few other factors. Good sales writers aim for as low a level as possible. Anything greater than 8 is considered bad sales writing. People get fired over it. The F-K score of “Old Man and the Sea” is 4. The year after that book was published, Hemingway won the Nobel Prize. “Heart of Darkness” by Joseph Conrad,considered one of the best books ever, was written at a 6th grade level. “Crime and Punishment” by Dostoevsky was written at a 7th grade level. BACKGROUND: In 1997, MRF Recruitment advertising was handled by a different agency. The other agency’s creatives were traditional. The Marketing Manager of MRF wanted something different, powerful. We could win the MRF Recruitment account if we could present something better. Abraham Alapatt gave good briefs and this time too gave a lot of inputs about warriors, battles, wars etc. I decided to use a lot of metaphors about battles, wars, warriors – inspired by Abraham Alapatt’s – the account director’s brief. Using a previously published advertisement for the information, I coated it and crafted the metaphors into it. Reportedly, the first advertisement went into print and was supposed to have got in 14,000 responses in the first week…it was noticed by a lot of people including my batch mates in the industry. The Marketing Manager at that time, Mr. Philip Eapen was supposed to have commended the advertisement. Headline: MRF is on the lookout for warriors! Bodycopy: for its dynamic army of sales personnel, to conquer new sales territories and to further expand its well-established extensive countrywide marketing and sales network. The battlefield is an opportunity filled environment with enormous possibilities for growth and conquests. A highly rewarding career awaits the MRF warrior who is an achievement-oriented professional with excellent communication and inter-personal skills and who can conquer stiff sales targets and win through aggressive selling. 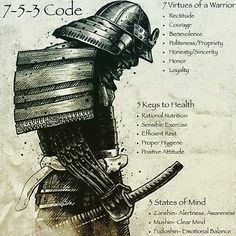 Other essential warrior qualities are a willingness to be on the move with no location constraints and a knowledge of Hindi and any other local language. The warrior should be in his twenties, tough, dedicated, smart and a graduate with a determination to succeed and with 2 years experience in combat, selling highly competitive products. The ammunition provided will be the most powerful in the market and the spoils of the battle will be among the best in the industry. Sign Off: Write to the Director, Human Resources, MRF Limited, 124, Greams Road, Chennai 600 006. They asked us to craft one more….this time I used a hunter-jungle metaphor for the second advertisement. BRIEF: Quarter page recruitment advertisement with powerful, motivating copy, following-up on the style of the previous one. Headline: MRF is looking for Hunters! Bodycopy: Are you tough, gutsy and determined as Jim Corbett who hunted man-eating tigers in Kumaon? Or as David Livingstone who charted unexplored territory in Africa? Because today, as you know, the market out there is a jungle. And survival-of-the-fittest is the law. MRF, the Rs.2000 crore tyre giant reigns supreme in the Indian tyre market jungle and is an undisputed market leader in all the major tyre segments. MRF stands at the threshold of an exciting new era of globalisation with the widest product range including tyres that have been the unanimous choice for first fitment on the latest world-class cars in India. To work in this highly rewarding environment of potent dynamism and exciting challenges, you should have a hunting instinct to aggressively innovate methods to corner your prey while bettering your own achievements. Also, as a market hunter, you should have 5 – 10 years experience in leading marketing expeditions with a penchant for travel without location constraints and in selling consumer products and durables. Your traps and arms are the most powerful brands in the market. And your ability to scent new hunting ground and conquer them will bag you prize catches that are the best in the industry. Sign Off: Shoot your resume to: The Director, Human Resources, MRF Limited, 124, Greams Road, Chennai 600 006.